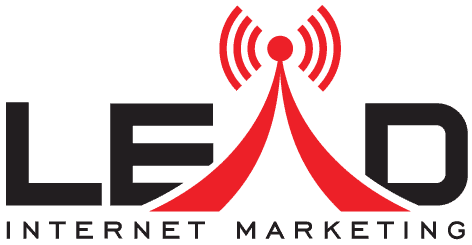 Lead Internet Marketing is a full-service online marketing agency that maximizes your business potential by harnessing the power of the internet. We run marketing campaigns that bolster your return on investment. LEAD INTERNET MARKETING is a boutique digital marketing agency based in Portland, OR. We are your business ally, a creative partner on your path to digital success. We lead your business in the right direction with our multiple supportive services such as SEO, PPC/ Google Ads, Conversion Analytics and Content Management Services. LEAD is Data-Driven & Result Oriented. Our SEO services help increase your organic Search Engine Rankings and profitability. SEO is no longer an option, it is a necessity. Grow your business with our support by engaging with your customers where they Live-Work-Play-Shop online. With our targeting strategies you will drive your Brand Awareness, promote Content and generate Leads. We are your full-service creative partner for Content Creation, publishing and distributing to promote your Brand to a targeted online audience. Increase your Conversion Rate, lower the Cost Per Acquisition and boost revenue with our CRO consulting. We create eye-catching and Effective (Responsive, Wireframing UI/UX) Websites designed for every screen that convert traffic to leads and sales. LEAD Internet Marketing will rank your Website higher on Search Engine Results Pages (SERPs). Made in Portland – serving all of WWW. We are a local owner-managed business, who understands the value of your marketing investment to deliver results. We don’t practice aggressive selling, just quality work for a fair price. Our mission is simple – to help you grow your business. We utilize agile project management to continually improve and pivot if a plan is not delivering. Our expert knowledge of Search Marketing PPC, Social and Content Marketing help you set and achieve bold goals. We plan, optimise and manage your digital marketing campaigns, as your own digital marketing department. We analyze your marketplace and business objectives before we tailor a clear marketing strategy. We then identify digital marketing tactics best suited for you and define action plans that are measurable to track your success. We have the experience and expertise in digital marketing. Our continuous focus on learning to keep up with the fast-moving world of digital marketing benefits you to achieve your business goal. HOW CAN LEAD INTERNET MARKETING SUPPORT YOUR BUSINESS? Lead Internet Marketing is a full-service digital marketing agency. We provide strategic planning, creative, production and online marketing services. Any digital marketing campaign is only considered successful when it delivers results every single time its run. Lead Internet Marketing partners with you to achieve these results that propel your business to success. We ensure higher ROI and improve your online brand visibility. Our digital marketing services include Continuous Conversion Tracking and Analytics (CRO & CRA), PPC/Google Ads, Search Engine Marketing and Optimization (SEM & SEO), Content Marketing and Management, Web Design and Social Marketing. We want your company to succeed with our Digital Marketing and Effective SEO Expertise. We aim to learn about your business and your business goals to customize your SEO Marketing approach. Our goal is to help your business grow. Partner with us to to enhance your online brand visibility, reach your targeted audience and increase customer engagement. Let us inform you on how our targeted solutions will help achieve your business goals. We tailor every Brand Story to your needs, to stay ahead of the game.